"LA is very fortunate that Jen Krater has opened shop. As a casting director I've had the pleasure of working with many of her students, all of whom display a solid, intuitive understanding of what true acting is all about. It takes a great actor to train great actors, and in that respect, New York's loss is definitely LA's gain." For 20 years, Jen Krater has been teaching actors interested in carrying leads in film and television. Her process encourages and allows actors to find and reconnect with their own voice as an artist. Combining that strong artistic identity with the technical expertise of the camera makes her one of the most sought out acting coaches in NYC and LA. Jen is deeply passionate about giving everything she has to her clients. She was tapped by Sally Johnson in NYC to begin teaching. She quickly developed a stellar reputation and was shortly teaching Sally’s classes. When Sally retired Jen bought Sally Johnson’s Studio (The Studio). The casting directors from the the networks were saying some of the best actors in NY where coming out of her studio. Jen’s clients were quickly transitioning from a career on Broadway to television & film and moving to Los Angeles. They were calling her in NYC saying “no one was teaching an on camera class in Los Angels like the one Jen teaches” Jen and Paolo sold the NY studio and moved to LA. Jen is proud of the community that she & Paolo have developed in Los Angeles at Krater Studios. She is proud to have helped book multiple actors into their first series regular roles, their first major role in a feature film as well as continuing to develop the careers of all her clients. 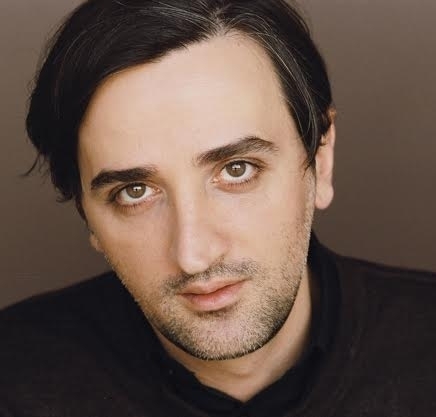 Paolo Pagliacolo has worked on both sides of the camera as an actor, filmmaker & writer. Bringing his experience and expertise in television and film into the classroom, Paolo has managed to create an environment for his actors where they not only thrive creatively but also understand the technical requirements of bringing a role to life for the camera. Paolo teaches actors how to develop their craft and deepen roles through his hands on one-one approach to an actor’s process while at the same time developing an actor’s instincts and intuition to handle any role within the rigors of a shooting script: the writer’s intent and a director’s vision. Actor’s who train with Paolo walk on set understanding the parameters of the medium and genre within which they will be working allowing them to give their best and fullest performance, while remaining spontaneous, free and in the moment.